Long-running Canadian comedy Trailer Park Boys returned with its 10th season earlier this month, but it's since dropped a handful of cast members. The show's Lucy DeCoutere announced her departure after Bubbles actor Mike Smith was accused of domestic assault. 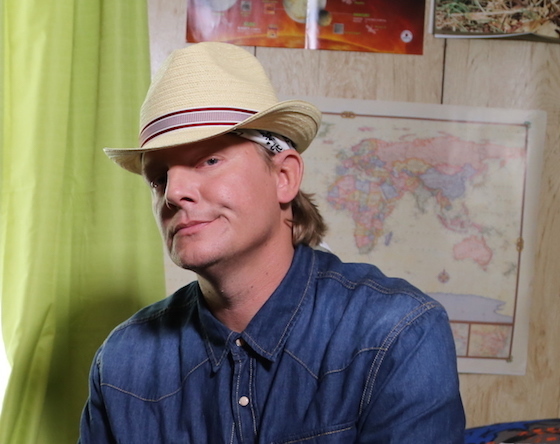 Now, Jonathan Torrens has also moved on. In a string of tweets, Torrens explained that he's decided to retire his struggle rapper character J-Roc. He didn't give a specific reason for the departure, simply saying that it's time to move on. In a brand new episode of his Taggart and Torrens podcast, the actor offered some reasoning for his departure from the show. "Every six months since it started I've thought 'Well, that's got to be that, then.' And it continues to find new audiences everywhere," he said. He added that it simply felt like the right time to move on. "Ten is a nice round number and feels like a nice way to exit.... As hard as the decision was, it feels right." 1/4 Playing J-Roc has truly been one of the greatest pleasures & privileges of my life. But it's time to hang up the ol' do-rag. Nomesayin? 2/4 TPB travelled further & lasted longer than any Mafk could ever imagine. BRRRAPS to all y'all for riding dirty with the Rocpile. HAAAAHN? 3/4 My utmost respect and affection to the #nsfilmjobs crew that works so hard and sacrifices so much to create TPB's look, sound & feel. 4/4 Finally, at its core & at its best TPB was always about friendship and love. I wish the very best of those to each of you. Peace. Truly moved & humbled by all your best wishes and kind words. The real legacy of Trailer Park Boys will always be the loyalty of its fans.